Discover the simple pleasure and soul satisfying luxury of the Kipling Ovale Freestanding Tub from American Standard. Spaciously designed for deep soaking comfort with a classic curved top handsomely styled for a hint of old world elegance. 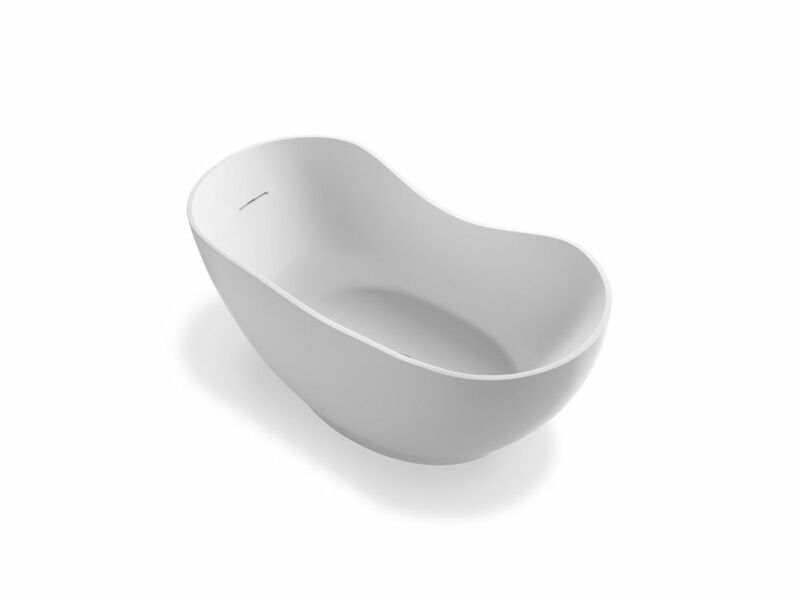 The Kipling Ovale Freestanding Tub is made of lustrous and durable cast acrylic. Completely surround your body in a blissful cushion of massaging bubbles in the Underscore Cube air bath. The extra-deep squared shape and integrated seating allow you to relax fully immersed and supported in luxury. The Zones of Control feature gives you the option of targeting specific areas of the body to work away tension. In addition, chromatherapy lighting combines with the water therapy to soothe the senses, and the heated surface warms your back and neck with adjustable temperature settings. Abrazo 5.5 ft. Center Drain Soaking Tub In Honed White With an organic oval shape inspired by clay pottery, the Abrazo bath makes a striking focal point for your contemporary bathroom. The unique solid-surface material has the attractive matte finish of smooth stone but feels warm to the touch and is easy to clean. An integral slotted overflow allows for the deepest possible water level, and a center toe-tap drain with cover completes the stylish design.